The 4G network in Spain was launched by Vodafone in June 2013 with other companies following closely behind. 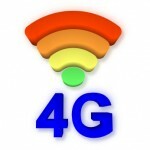 4G offers users high speed Internet connection, but as only top-end smartphones costing over 600€ were compatible the result has been a slow take-up of 4G contracts. Operators have decided to reach more customers by offering lower priced phones – see what you can expect in the coming months. Yoigo has taken the most radical approach with practically all the phones sold by the company being 4G compatible. Yoigo offers the cheapest 4G mobiles currently on sales such as the ZTE Blade Apex priced at 169€ or the Huawei G 526 for 179€. In October Orange has launched the Yumo, manufactured by Huawei, that comes with some high-end smartphone details such as an 8 megapixel camera and 5 inch screen at a cost of 259€ (or 7€ per month with some tariffs). The cheapest 4G mobile that Movistar offers is the Sony Xperia SP with a dual core processor for 261€. Until recently the cheapest 4G mobile available with Vodafone was the Samsung Galaxy Xpress 2 but in a few days they will be launching a new model under their own Vodafone brand (made in China) with a 4.5 inch screen, 8 megapixel camera and priced at around 200€. In the two years from 2011 to 2013 there have been major changes in the world mobile phone market. In 2011 Apple was the leader with a market share of around 19% but two years later this has dropped to 13% and in the same period Samsung’s share has increased by around 14 points to over 30%. Experts in the telecoms industry cite mistakes by some manufacturers such as Nokia deciding to use Windows, or Blackberry not adopting touch screens early on, but it’s also the case that there are newcomers such as Lenovo that could increase sales considerably as the company has taken the strategic decision to concentrate on mobiles and tablets after their success in the PC market. Given that Spain is the European country with the highest number of smartphones we can expect that the 4G war is only just beginning and 2014 should bring with it higher-spec mobiles at more reasonable prices.